The Star Wars hype has been building for a while now, so to finally watch the movie in theaters with AVX 3D DBOX is a treat. This would be my first time seeing a movie on DBOX so I wasn’t sure going in what to expect. The concept is simple, a seat that vibrates and moves in sync with the movie. That all sounds easy enough but what I experienced while watching the latest Star Wars was game changing. The first 15 minutes of the movie I couldn’t stop smiling and almost giggling with delight as I felt the initial blaster fire rocking me in my seat. The movement of the seats matched the panning of the camera and immersed me in the film. I really felt like I was in the action as I followed behind the Millenium Falcon and the TIE fighters chased me. The subtle glide to the seat as I panned around the characters almost as if I was the counterweight in the steady cam following the action. I can’t explain how much I enjoyed the movie but the DBOX experience is something I hope to repeat before the movie leaves the theatres. I even went as far to look online afterwards to see how much a home DBOX setup would cost (too much). However, the DBOX experience isn’t for everyone. It seemed like half the people I spoke with ended up turning down the effects of the DBOX. For me, it was a two hour and 15 minute amusement ride I plan on riding again. It was back during E3 that Amazon was having an awesome sale on pre-order games. They would offer 30% off when you preordered 3 or more games. I thought, I may as well preorder a bunch and save some money, especially if I intended to pick them up when they were coming out. I pre-ordered Destiny (PS4), Call of Duty: Advanced Warfare (PS4), Borderlands: The Pre-Sequel (360), Halo Master Chief Collection (XboxOne), and Halo 5 (XboxOne). I received the first game, Destiny, a day after its release date on Sept 10th. I was charged $43.95 for the game which is substantially less than I would have paid at retail $69.99 before tax. So far I have really enjoyed the game and finally have a game that I can play online with friends as everyone I know has the game. I have to play it a lot right now because the next game in my pre-order, Borderlands, should arrive around October 14. Then after that, I should receive Call of Duty around Nov 4, and then Halo Collection around Nov 11. It’s going to be busy times with lots of quality releases coming out for the holiday season this year. It seems like my Steam library has been growing substantially over the past year. With Valve offering such impressive sales, like the recent Summer Sale, and Humble Bundle putting together such great packages benefiting charities, I have been able to grow my Steam library on a budget. One site I found to be interesting is called SteamDB with its calculator. It quickly shows how large my library is and what it would be valued at in current prices. One sad stat for me however is number of games not played. As of me writing this, it stands at 83%. Just as I start to bring this number down I end up buying another humble bundle or a steam sale comes along. I think of my purchases as a hobby or collection and enjoy increasing its value while spending little. Sometime in December, I stumbled upon a daily deal from the Microsoft store. 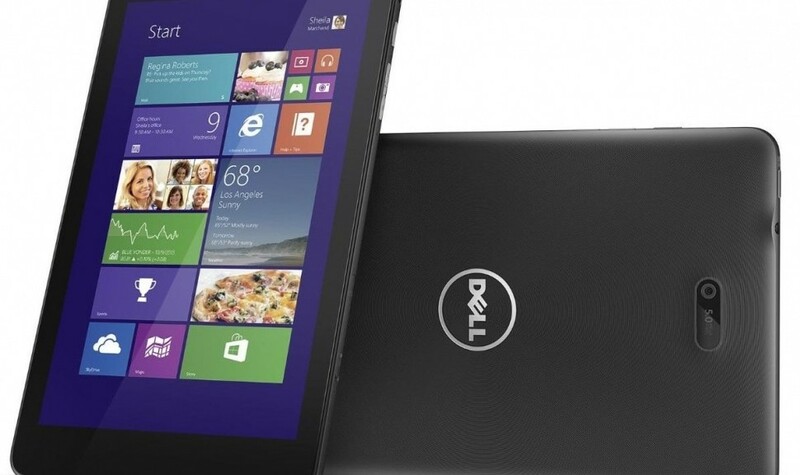 The online deal was for the Dell Venue 8 Pro for $199. I hadn’t done any research into the device but I thought for a full fledged Windows 8 tablet running x86, lets go for it. A couple months down the road I find that it is a very capable device which runs Windows 8 very well. This is how I imagined the OS was suppose to work. The gestures feel natural and allow for quick access to applications and the multiple apps on screen at the same time is simple to do. My custom steambox/PC also runs Windows 8 but I don’t end up using much of the OS outside of the desktop view. The Dell tablet has great battery life at just under 10 hours, which is especially good as it runs an Intel Atom processor. The processor is the latest in the Atom Bay Trail family. There have also been interesting results from people online using the tablet for gaming. I haven’t yet ventured down this path myself but by picking up an OTG cable and a USB hub I would have the ability to use my gaming mouse and keyboard. It seems surprising that it wasn’t long ago when Apple released the iPad to initial scepticism that there isn’t a market for this type of device. Now the tablet market is overtaking the PC market. It will be interesting to see what comes next, will it be wearable devices? Only time will tell. By the way, this was typed on my Dell Venue 8 Pro. 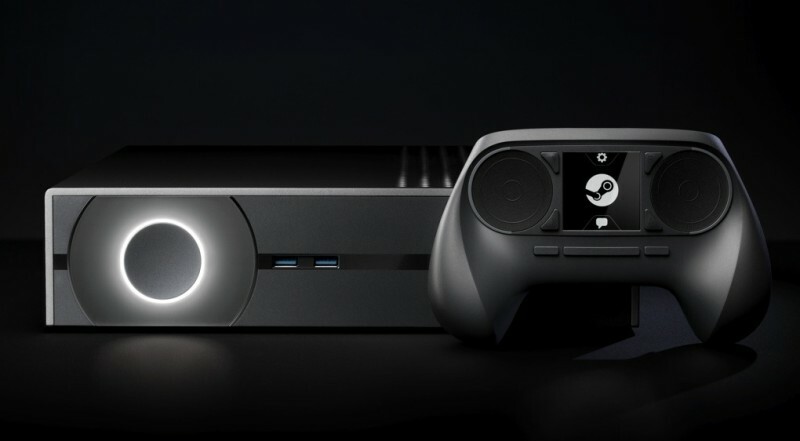 There has been a lot of discussion lately about Valve making their own gaming hardware. From this discussion there has been a number of articles written regarding building low cost gaming devices with the primary goal of playing games from steam on your TV in the living room. Most of these are using decent enough hardware to provide low to medium quality at 1080p resolution on the TV. The results have been very promising with current generation consoles being left behind. That sparked me to get going on my own steambox. It has been a number of years since my last big desktop build and times have changed. Prices have been coming down and performance has been steadily increasing. No longer do you have to spend thousands. For my build I want something that won’t take up a lot of space in my living room. I took a look at a lot of smaller sized cases and decided to go ahead and pick up the Fractal Design Core 1000 mATX case. This is a little black box that will suit my living room. I don’t need anything fancy such as water cooling so for $34.99 I am set. Next, knowing I am going with an mATX case I need to ensure I get an mATX motherboard. My requirements are minimal and keeping the costs low are my primary concern. When looking at motherboard there is a wide range of features that while very nice and cool would be overkill in my budget device. My requirements, USB 3 and SATA 3. I ended up getting the MSI B75MA-P45. This meets my needs of low cost, $64.99 and my other requirements. To match up with this I decided to break the trend of other steambox builds and opt for an Intel i3 3220. This dual-core Ivy Bridge processor runs at 3.3ghz be supports hyped-threading. I thought if I am going to spend a little more somewhere it may as well be the processor. To go further with that line of spending a little more for better performance, I went with a SSD from Samsung.. The Samsung 840 series 120 GB. This is going to be primarily a gaming device so I don’t need a lot of storage. I do have the option to add more hard drives later should the need arise. The SSD is going to give the box another big speed boost. Last I just picked up 8gb of ram that was on sale. Nothing special, just Corsair Vengeance Blue 2x4gb DDR3-1600. This will give me a good start and with my motherboard leaves two slots open if I ever get the need to double up to 16gb of RAM. The power supply, also from Corsair, corsair enthusiast series TX550M. My main reason for choosing this power supply is the quietness found in the reviews and the fact it’s a modular power supply which should help with cable management in this small case. I am going to be reusing my graphics card from a different device. It’s an XFX Radeon HD 6670 1gb DDR3. It was a very inexpensive card only costing me $50. This may need upgrading as it looks like the weakest link in my build. I will throw it all together and see what kind of performance I get and make a decision then. So there you have it, my steambox. Lots of room to upgrade and keeping costs down on my budget gaming computer. I can’t wait to see how it comes together as the parts should be arriving later this week. I have had a Playstation Vita since its launch and have really enjoyed it so far. I would recommend it to people but it seems like lately people have been abandoning the idea of traditional handheld gaming. Recently, the trend seems to be moving to mobile phones which have the power to run similar games but really lack the controls that give gaming its fun factor in my opinion. I have a few games for the vita right now: Wipeout 2048, Unit 13, Mortal Kombat, Little Big Planet, and Hot Shots Golf. All of these games are a lot of fun. With the latest software update for the Vita to version 2.0, it also brings on Playstation Plus support. This adds some really cool features like instant game collection and cloud save game support. The instant game collection seems like an amazing idea which really brings a lot of value to Sony’s subscription service. I haven’t been interested in gaming on the pc for such a long time. When it actually comes to the last pc game I would have purchased, I think it must have been Battlefield 1942 back in 2005. I have always found that a console was always a safer bet in terms of everything working as it should. With PC gaming you have to contend with system requirements that differ from game to game as well as seemingly endless patching. As consoles have evolved we see that patching is becoming more and more commonplace and now the age of consoles are beginning to show. This brings me to where I am now. I have been a longtime fan of tribes for the PC and recently came across that there is a new version of tribes that’s out called Tribes Ascend. I think originally there was suppose to be an Xbox 360 version but that’s kind of fell off the map. With this new game it’s actually free to play which interests me. I can pick up the game for nothing and invest time/mone into it once I get a feel for how I like it. Sounds exciting sign me up, except I have a problem. It has been years since I have played a game on the PC and nothing I own seems to be close to game shape. My options, a Mac mini (early 2009) – not really a gaming device, limited on the hardware front and not to mention a not compatible with a Windows game. Next up, a couple net books. These are kind of a joke spec wise with integrated graphics cards that can just handle the basics. Lastly, I have my older Pentium D windows box. It’s slower by today’s standards but has some potential. My plan at the moment is to buy a graphics card for this device until a greater sum of money is available to buy a new dedicated gaming PC. I went ahead and got an inexpensive video card to bide my time with. It’s an ATI Radeon 6670 1GB DDR3. I purchased the card for $49.99 from NCIX.com and expect it to arrive before the weekend. I know the card isn’t super powerful but that’s not really what’ I am going for. I just need something that will work. Here’s hoping that it does, I will know soon once it’s shipped and I get it installed.